When Eugene Law began his Cornell Ph.D. program in soil and crop sciences, he and his wife, Carolynn Steele-Law, lived in Syracuse where she worked in sales at Costco Wholesale. Eugene’s lengthy commute to Ithaca began wearing on him and at the same time, Carolynn found herself wanting more from her career. With no experience working in higher education, researching Cornell jobs left Carolynn with many questions. “Not knowing the ins and outs of the university made applying difficult, because I didn’t know what the managers were actually looking for in their candidates or how I could stand out,” she said. Eugene suggested she attend the inaugural Student Partner Career Fair in April 2017. 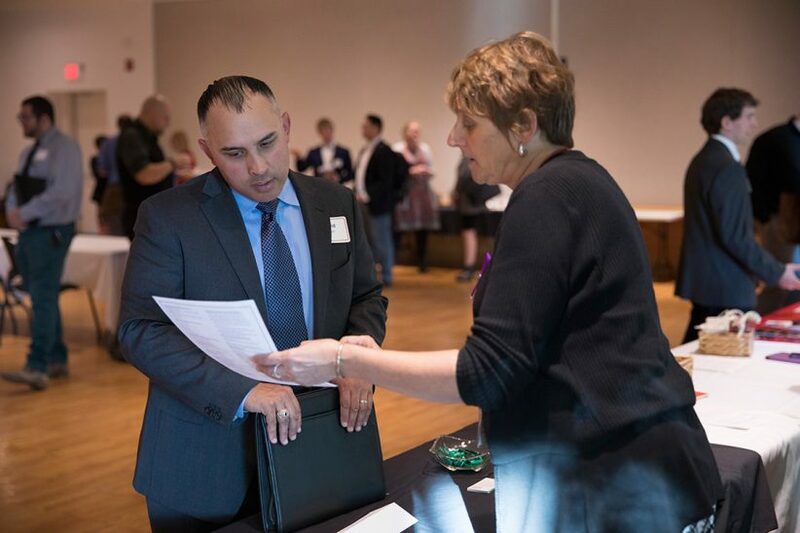 The Career Fair has two goals 1) Inform spouses/partners about working at Cornell, and, 2) Facilitate actual connections between student spouses/partners and recruiters from the various Cornell Human Resource units. The fair is organized by the Cornell Students with Families Advisory Committee, the Graduate School, and the Cornell Office of Human Resources. Representing a diverse group with a wide range of backgrounds and experiences, the inaugural event was such a success with 40+ participants that another session was hosted on October 19 with an equal number of attendance. It should be noted that the Cornell recruiters have been pleased with the student spouse and partner talent pool so much so that there were 12 units represented during the October event. “I didn’t know what to expect when I got there, but I talked to everyone I could. I went from recruiter to recruiter, introducing myself and getting any detail I could about the job-search process, including what managers were looking for and best-practices to get noticed. Talking to them allowed me to get a better handle on my own goals and made the idea of working at Cornell more tangible. It made me realize that I could do this,” Steele-Law said. 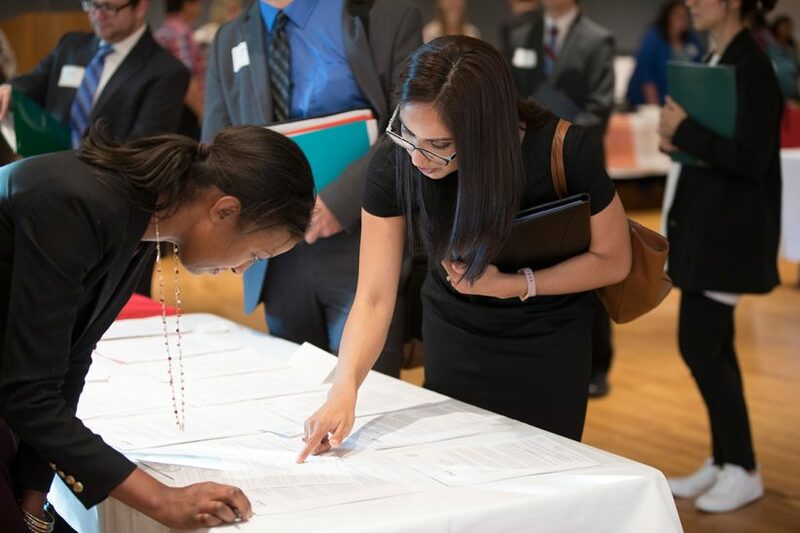 The Career Fair’s impact extends beyond the student spouse or partner’s career. Knowing that your spouse or partner is enjoying their job, can benefit the Cornell student as well. “Now that we’re both at Cornell, we were able to move to Cortland, which cuts our commute significantly and we can drive together. We’re so thankful that Cornell provides student partners with these types of opportunities,” said Law.